How much food do wealthy nations waste? More than all of Sub-Saharan Africa produces, according to the Food and Agriculture Organization of the United Nations. In the United States alone, from the farm to your kitchen, half of all produce ends up in the trash, according to a report by The Guardian. What does that waste mean for your household budget? If you're like the average family of four, you're literally throwing away $1,800 a year, the National Resources Defense Council estimates. The Environmental Protection Agency suggests that households spend two weeks separating "preventable food waste" garbage from inedible scraps as part of its Food: Too Good to Waste Challenge. So often in busy households food goes to waste because you forget it's there. The iOS app No Waste allows you to scan the barcodes of stuff in your fridge, enter expiration dates, and track everything you've got. If you don't mark a food item as "eaten" before its expiration date, the app marks that food as wasted. It keeps track of the percent of your food that you waste, and shows you a cute little tree that loses its green if your waste increases. It also allows you to compare your waste percentage with other app users, and gives you an estimate of how much money you're saving by eating the food you paid for. This printable food waste diary prompts you to record not just the amount of food wasted at each meal, but also the reason and estimated value. This should be helpful to put a weekly dollar figure on your waste and motivate you to consume foods that are about to go bad. Whether you used a printable from, a smartphone app, or simply scrawled the amounts and values of your waste on a scrap of paper stuck to the fridge, what do you do with this data? Why not use it to (gently) punish yourself? 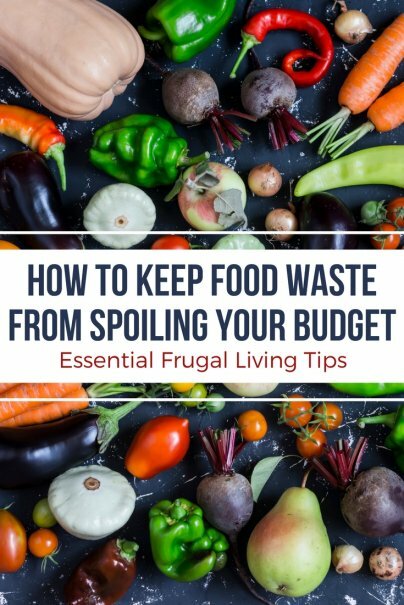 Take the total value of this week's waste, and deduct it from next week's grocery budget. Chances are, the pain of passing up buying the steak you wanted might help you remember to use up that meatloaf next week. Recording your food waste alone in your kitchen is OK, but wouldn't it be more fun to inspire others by planning a Watch Your Waste Meal? In the days leading up to your event, you're supposed to track your waste and share photos of your discards, which a celebrity chef might use as inspiration for a new dish. Are you more of a visual learner? Then follow The Frugal Girl's example and photograph every bit of food you waste. If you really want to push yourself to improve, share it online like she does! But even a private gallery of moldy horrors should be enough to encourage yourself to save the kale. Once you've got a handle on what you throw away at home, turn your attention to the millions of pounds of food that gets thrown away by businesses before you even get a crack at it. In California and Portland, Imperfect Produce delivers weekly boxes of vegetables and fruits that are not cosmetically perfect enough to be sold in stores but still fresh and wholesome. Still in beta, the app Food for All will allow you to purchase unsold food from restaurants at the end of the day, at discounts as steep as 80 percent. Lucky Bostonians get to try this super frugal service first. If you work in or own a restaurant, try the app MintScraps to track and reduce food waste.